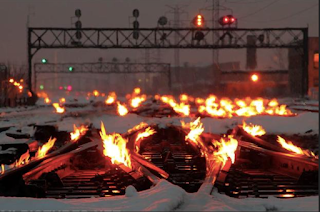 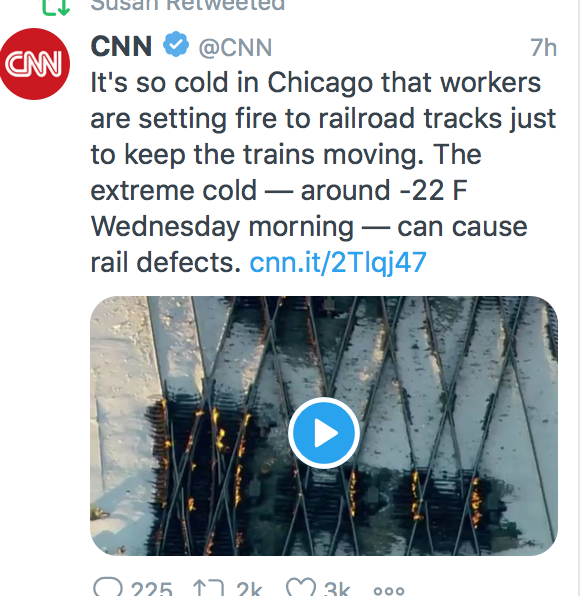 MSE Creative Consulting Blog: No, They Are Not "Setting Fire to the Railroad Tracks"
No, They Are Not "Setting Fire to the Railroad Tracks"
Arrggghhh. I've seen this factually incorrect tweet about "setting fire to railroad tracks" from ABC and CNN literally dozens of times the last 24 hours. They are not setting fire to the tracks. 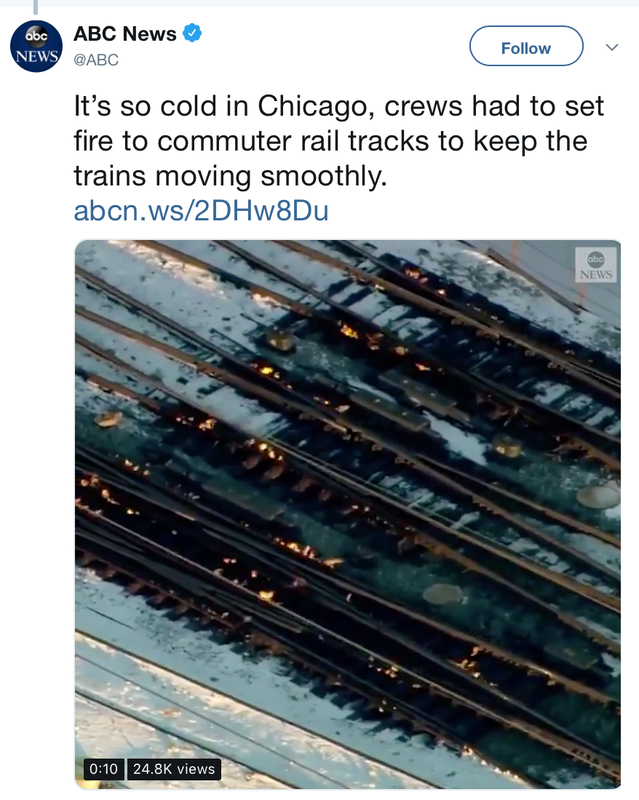 First of all, the tracks are metal and metal does not burn. 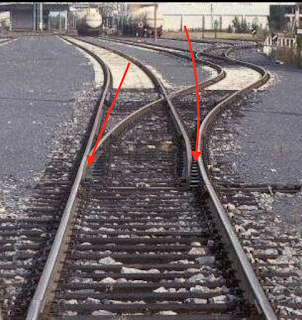 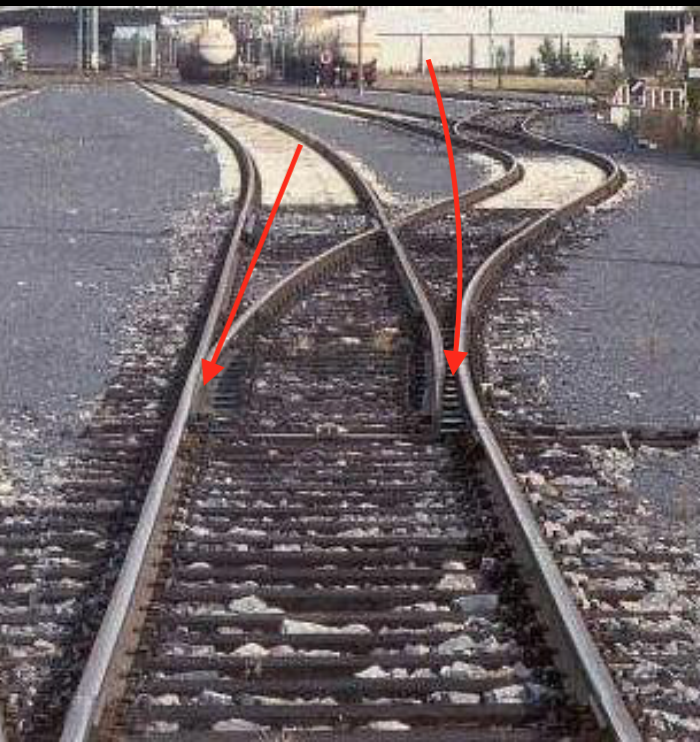 move (left to right in the photo) to grab the flanges of a train's wheels and direct the train into the siding as shown here or, with the points moved to the right, keep it on the main line. On a heater-equipped switch, butane is burned to melt the precipitation. 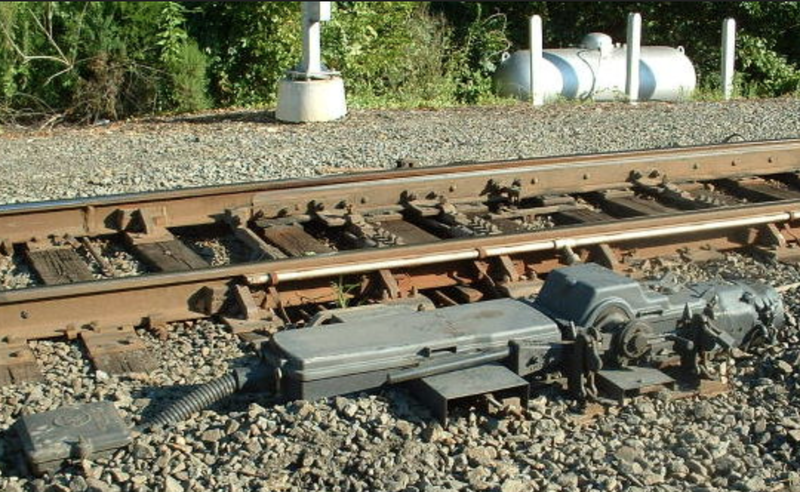 Above is a view of the switch heater and butane tank in good weather.